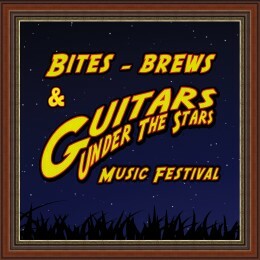 Guitars Under the Stars is a Music Festival that celebrates guitar as a genre. Featuring some of the finest Blues, Rock, Hard Rock and Heavy Metal performers in the world! From sun up to sundown we blend art and soul in a beautiful outdoor setting where visitors can groove to the sounds of live music and browse our vendor offerings, fine art & crafts and all that while enjoying gourmet food and beverages.They can also explore “Inspiration Alley” where products from some of the top music manufacturers will be on display and participate in product demos from world class musicians. Liliac, Unchained - Val Halen Tribute. Ed to Shred. RDG - Ray DiGiorgio Group. Larry Mitchell + MORE TO BE ANNOUNCED! Bobaflex, Motorbreath - Metallica Tribute, Wilde Side - Motley Crue Tribute, Henry's Child, The Nixon Rodeo, Minor Anomaly + Hyper Sloth + 30 Pound Test + MORE TO BE ANNOUNCED!